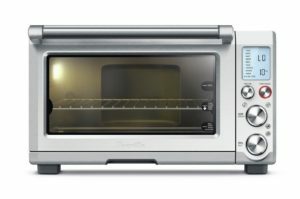 Toaster ovens are a great accessory to any kitchen. But low-grade rubber bumpers will accelerate their natural wear-and-tear. However to get excellent rubber feet that will accommodate the demands of your toaster oven, consult Budwig’s expansive catalog. We offer round, square, and rectangle bumpers that will make the most of your application. Our stock colors are black and medium grey, although if you’re interested in some of our custom colors, make sure to get in touch with us via phone or email. Budwig stands by its molded products because we firmly believe the quality will speak for itself. Samples are also available upon request. If you don’t find what you need from our existing product line, we can use your design or we will custom design one for you. Along with our other products we keep over two million pieces of inventory to provide off-the-shelf delivery. We will be happy to send you free samples to test or compare. We believe you will find our products to be an excellent balance of quality, performance and price. Contact Us.